VMfitness: Soft Coconut Gluten Free Cookies & Oreo Stuffed Cookies! Soft Coconut Gluten Free Cookies & Oreo Stuffed Cookies! 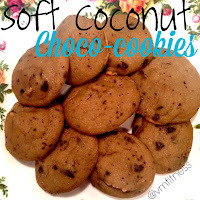 Mmmm Soft delicious coconuty and chocolatey cookies! Andddddd a dirty dessert turned healthy! And the other day I was drooling over the Pinterest Desserts, I mean come on... they are unreal! And saw this little beauty! It was a cookie stuffed inside an oreo! I mean HOW GOOD DO THOSE LOOK! 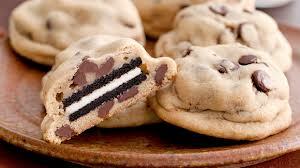 SOOOO I decided to make my own version, combining the cookies from above with my Quest Bar Oreos! Basically get all the ingredients ready for the cookies above. Do you use both the almond flour and coconut flour or is it one or the other?